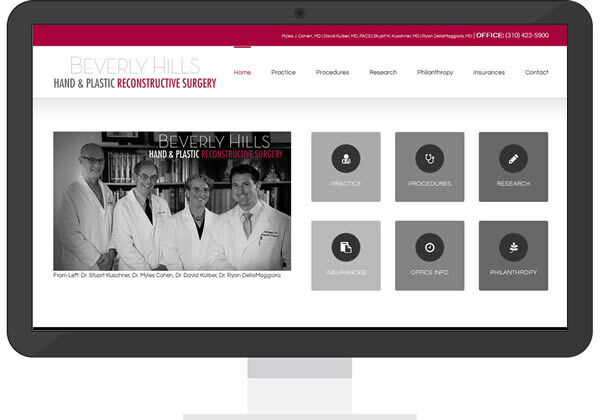 Beverly Hills Hand & Reconstructive Plastic Surgery is a multidisciplinary physician group that includes orthopedic and plastic surgeons, specializing in upper extremity, hand, and reconstructive surgery. Sisson Media worked with Dr. David Kulber to create not only a logo for the practice, but a brand new WordPress website. The site was released in 2016. It features responsive design to fit most any sized screen, video, research articles and information on all of the procedures the surgeons perform. Dr. Myles Cohen and Dr. Kulber are involved with Mending Kids, which is a central piece of the new site.